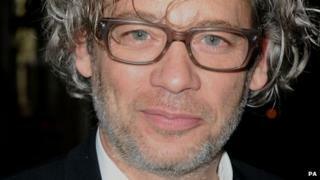 Actor-turned-director Dexter Fletcher has pulled out of the planned Freddie Mercury biopic, according to industry reports. Deadline said the Sunshine on Leith director had left the project over creative differences with the producers. James Bond star Ben Whishaw is attached to star as the Queen frontman in the film, which follows the band in the run-up to Live Aid in 1985. Filming is hoped to begin this summer. Hiring a new director and production will need to start soon, or the project will be pushed back until after Whishaw's upcoming commitments on the next James Bond film, due to begin shooting at the end of this year. A BBC call to Fletcher's agent to confirm the report has not yet been returned. It is the latest setback for the biopic, which has been in the works for the past four years. Sacha Baron Cohen was initially cast as Mercury in 2010 but left the production last summer, also over creative differences. The band's guitarist Brian May later said the casting had not worked out because "we felt his presence in the movie would be very distracting". "There has to be no distraction in the Freddie movie. You have to really suspend that disbelief - the man who plays Freddie, you have to really believe is Freddie. And we didn't think that could really happen with Sacha," he told Ultimate Classic Rock. May and drummer Roger Taylor are also producers on the film, overseeing the soundtrack which includes some of Queen's best-known hits such as Bohemian Rhapsody and We Are The Champions. The script has been written by Oscar-nominated screenwriter Peter Morgan, who also penned Frost/Nixon, The Queen and last year's Formula One film Rush.